is not just for drinking anymore, ladies….it's also for smearing on your nails! 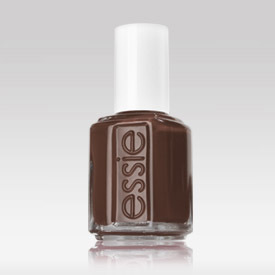 Take a break from the black and dark plums and lighten it up with a touch of winter class with Essie's fabulous new shade. I fell in love with it checking out at a beauty counter, and it quickly became mine after discovering it was 20-percent off (which is lame as that's what, $1.60 in the nail polish world?! But hey, it justified it for me!) It looks great on any skin tone, goes on bubble-free and lasts for days…perfect for bringing a little pizzazz to the dull winter months. Happy polishing!